In about 4 1/2 hours, the shoppe will go live with this week's goodies. 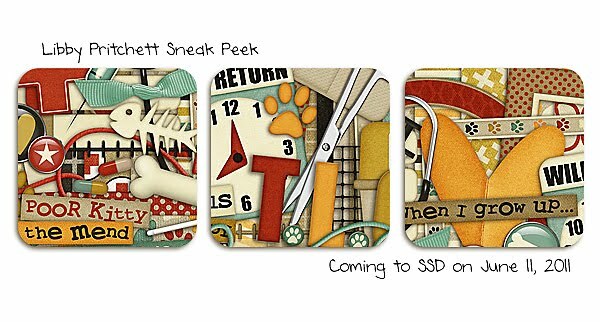 It isn't often that I get a chance to scrap... much less with one of my new releases before it actually hits the shoppe! So, I wanted to share with you today! 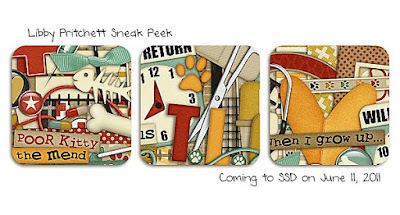 And here's the page I created using my new kit as well as a new template by Janet Phillips. 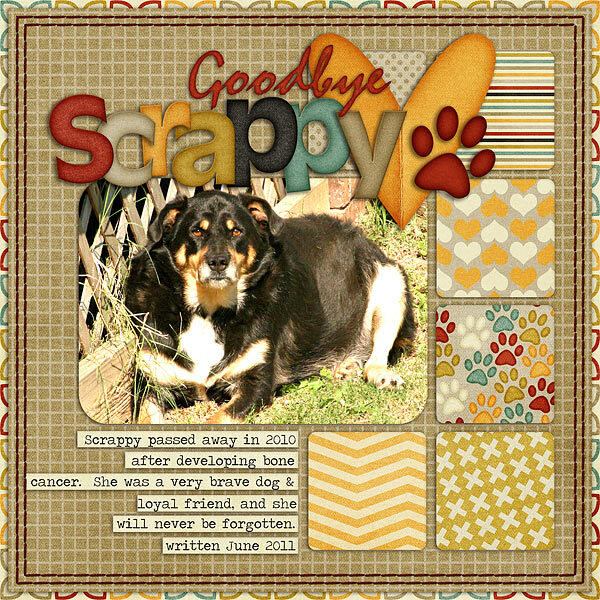 This is a layout about my dog Scrappy. My daughter named her (Kendra was almost 3 at the time). She'd wanted to call her Scooby Doo, but I wouldn't have that. So, she settled on Scrappy-Doo or Scrappy for short! We got her when she was just a few weeks old, and she was almost 10 when she passed. We had gone through a lot with her (oh the stories I could tell!). As crazy as she made me most of the time, I can truly say that it left a hole in my heart when she died.